Sometimes there’s a perfect storm, when different avenues of my weird personality collide. 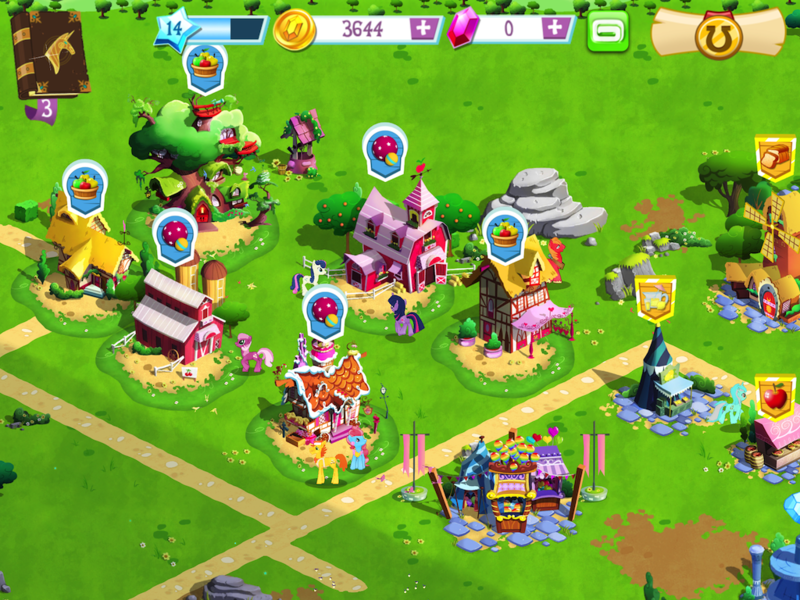 The [My Little Pony: Friendship is Magic](https://itunes.apple.com/us/app/my-little-pony-friendship/id533173905?mt=8) game by Gameloft (for iPhone and iPad) is out. The game itself is free, but they’ll try to sell you coins and gems. The basic mechanic is a town builder similar to We Rule or Tiny Tower (and countless others that I lost patience with long ago), but set in Ponyville. And it’s absolutely lousy with MLP goodness. Fans will be happy to know that Gameloft didn’t just phone this one in. The art is good. The voices are great (they use the original voice actors). The music is *perfect*. 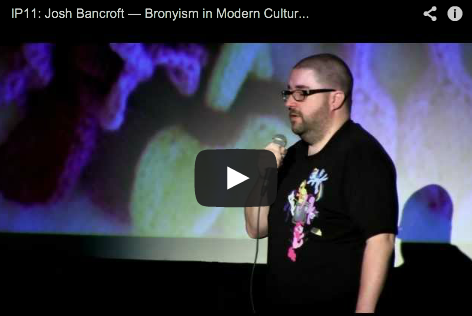 The cast is wide and varied, and more than likely includes your favorite background pony, no matter how obscure. There’s even sort of a plot/storyline, beyond just “build your town and get lots of stuff”. Derpy even plays her adorable part. Nits to pick: there’s not much variety in the minigames (you’ll play a *lot* of bouncy ball and catch the apple to level ponies up), and some of them are kind of jerky and don’t feel quite right. I found a typo (Pinkie Pie’s name is misspelled “Pinky Pie” on her caption when she’s speaking, but is correctly spelled elsewhere). At its core, it’s just an addictive, nagging “come play with us!” game that will bug you to keep coming back. Progress can be slow at times, but that’s because they want you to cough up real money for bits and gems to speed things up. Typical for the genre. What will keep bringing you back are the ponies. They’re just so dang adorable! The social aspect is also seriously broken right now. Besides the fact that “Gameloft Live” is hard to figure out (adding friends, etc. ), there are widespread reports on [/r/mylittlepony/](http://www.reddit.com/r/mylittlepony/comments/12v8dv/mlpfim_official_iphone_and_ipad_app/) of simply not being able to connect with friends, service errors, etc. I might be willing to chalk it up to high demand on launch day – we’ll see how it goes. At any rate, I’m jabancroft on GLLive, if you want to add me. You can also connect with Facebook, but it didn’t find any friends for me. Could be because no one is playing/connected there yet. There are a thousand ways this game could have gone wrong, and for the most part, Gameloft nailed it. The bronies are appeased (and lets face it, we’re the target audience, if for no other reason than we have more disposable income than six year old girls 😀 ).